New Delhi, Dec 6 (IANS) Following orders from Deputy Chief Minister Manish Sisodia, the Delhi Commission of Women (DCW) on Thursday appointed Tata Institute of Social Sciences (TISS)'s "Koshish" to conduct social audit of all shelter homes for women and girls in Delhi. Koshish has earlier conducted similar audits in several states, including Bihar, that brought to light the Muzaffarpur shelter home horror. The decision came after nine minor girls reportedly went missing from a shelter home in the national capital on Monday. "Koshish team is visiting all the shelter homes in Delhi and auditing them on various aspects which shall include infrastructure, facilities provided, training programmes and attitude of staff, and rehabilitation and restoration efforts, among others," the DCW said in a statement. An agreement has been reached between the DCW and Koshish, wherein the Koshish team shall inform the Commission immediately in case any instances of abuse are discovered in the homes. In a meeting with Sisodia on Thursday, DCW chief Swati Maliwal stated that a pilot social audit of shelter homes had been initiated by the Commission in September and "a report is being submitted to the government". 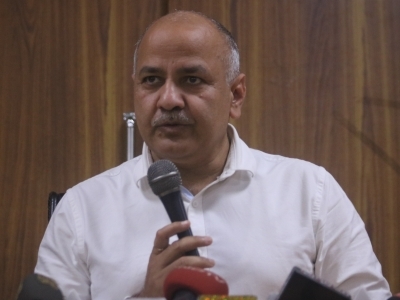 Sisodia, on the other hand, said that the Delhi government is "keen to overhaul and improve the functioning of all the shelter homes and has therefore invited an external agency" to examine the status and issues of homes in a non-partisan manner.